Senator Shahi Syed shared his views and said “Law is there but implementation and execution is important. It is a war of true and false, there are always difficulties in the way of truth.” Senior Journalist, Adnan Rehmat, shared UNESCO 2002-2012 reports and said almost 662 journalists lost their lives during this time period out of which 10% were from Pakistan. 2012 is considered as a milestone for the journalists as UN designed a plan of action for the safety of journalists. However, this plan is still waiting for its implementation in Pakistan. 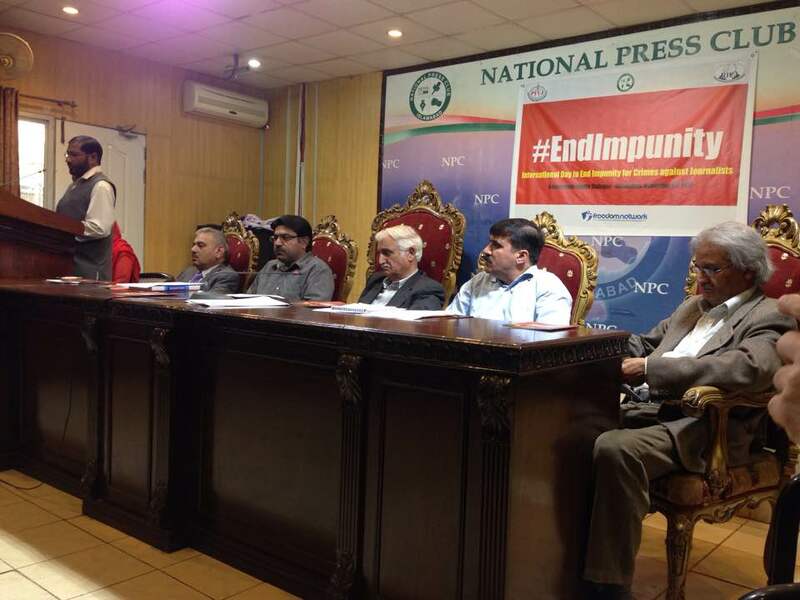 Hamid Mir and other senior journalists shared their struggle and gave few recommendations on how crimes against journalists can be minimized.